Tiny dual band similar to a Yaesu VX3R. The Baofeng is a radio that should essentially be graded on a curve. No it’s not on-par with a Yaesu, Icom or Kenwood but that aside the Baofeng is a competent radio and the best thing about it is that you can just drop it in your pocket. Full output power is about 2W and some of its competitors have similar outputs, there are a few times where 2W won’t suffice, but 5W would. I have had little trouble working repeaters on the Baofeng .Audio reports were quite good; a few stations were amazed it was a cheap Chinese hand held , there are some better ones coming from china but I like this little radio because of one thing, the sma antenna mount, most of the others have reverse sma and require an adapter to use after market antennas. Yes. It is missing a few features that other, more expensive radios have. There is no DTMF or dual-watch. But, this is only £49.99 and some of the shortcomings are offset by the addition of the flash-light and broadcast radio (86-108 MHz FM ) function which puts out a lot of audio so when you are sat waiting for some one you can pop an earpiece in the radio and listen to your favourite radio station . 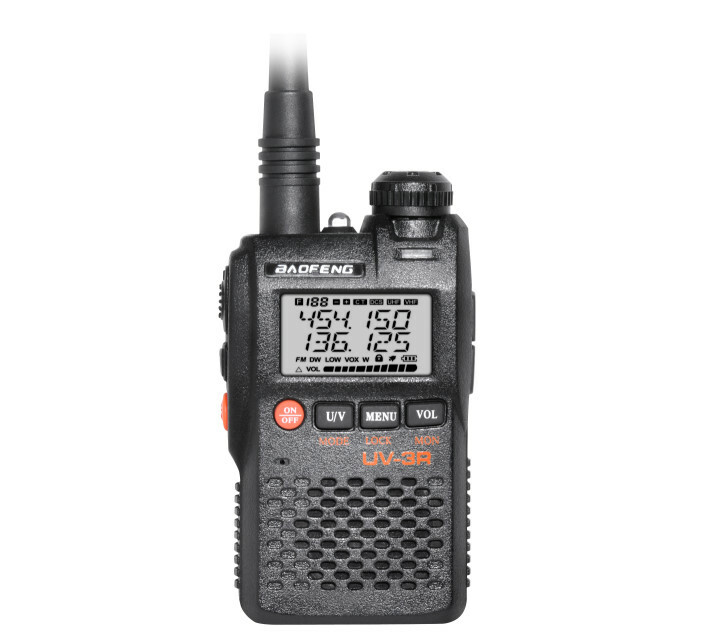 The Baofeng is more than worth its purchase price. Its affordability is really its main utility. Considering that it’s so cheap and replaceable, I am unafraid to take it places I might not take a more expensive radio – like the beach. It’s not perfect and could use a better antenna, and with that in mind you can buy an after market one like I did . With the belt clip on the radio, it won't fit in the drop-in "charging tray" (which is barely useful for its intended purpose). I'd like to see that fixed, as well as the ability to charge the battery in-situ while the rig is actually IN the "drop-in charger." The battery CAN be charged in the charger, but you have to take the battery out of the radio, plug the charger cord into the charger and put the battery into the charger, better still leave the battery in the radio and plug the charger into the radio.Charge time is short & that little nokia like battery is 3.7v and 1500 mAh Li-ion and lasts quite a long time even on full power (2w) .The battery life is impressive. The menu-driven operation and the location/function of the side and front buttons make this radio a bit "clunky" to program and operate, but using the USB cable is fast and easy. After about a week of using it, I am able to operate it without looking. Split CTCSS/DCS for XMIT/RECEIVE. The Encoder is a bit dodgy, but still works well enough.I haven't noticed any problems with the side buttons, and the front buttons still work fine. The plastic case feels quite thin and brittle but its not I dropped mine and it took a lump out of the tarmac The included neck-strap is a nice added extra bonus I think . Programming the radio was quite straight forwards and if you have a MK1 like I have you can use the programming lead, but not the software. The software is out there on Google and I will supply a link here to a website that will tell you all about it and supply's links to obtain the software. Excellent value for money dual band, dual standby with good performance V/V U/U On the whole the UV3R is excellent value for money. You’re not getting Yaesu quality of course, but they are amazing value, all things considered. No alpha memories, no priority scan, slow scan speed,no upper and lower VFO frequency limit can not be limited by user programming, which makes scanning in VFO mode a pain. There is no facility for repeater reverse frequency, but this can of course be programmed into separate memory channels. I have tested it in and around my home town and I have been getting some good reports. I even used the mobile phone over the ear type kit that came with it . Earpiece audio always sounds weird to me but its better than blasting it out so every one can hear it and look at you funny. OK so they look at me funny anyway "mummy why is that man talking to himself?" I can find few faults with it. You get what you pay for always , but I would recommend you buy one, if only to pop it in a drawer and use it in an emergency . Thanks for reading and to Karl G1YPQ who asked me to write this review., I will say " I didn't know what I was getting myself into" putting all this down on here took me two weeks and I still wasn't satisfied ,and edited it again . "sigh"